Etienne Jaumet is the name behind the legendary French band Zombie Zombie and The Tribute to La Monte Young (with Spacemen Three’s Sonic Boom), to name just few of the bands he’s played with. He plays sax with James Holden live band. 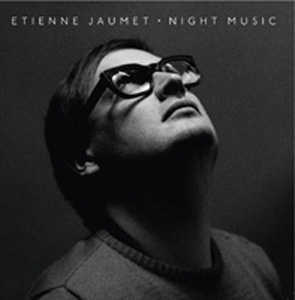 ‘Night Music”, his first CD on Versatile Records (2009) was produced by Carl Craig. “La Visite”, his second album was out in 2014. 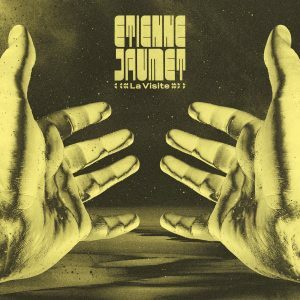 For years Etienne Jaumet wanted to record an album of jazz covers. Now is the time with « Huit Regards Obliques », his third solo album to appear on his label Versatile records. Jazz requires a freedom of play, interpretation and improvisation that suits the way Etienne works, his playful approach to music. The pieces were quickly recorded, to keep the necessary mood from the beginning, without the laborious work on the composition. Spontaneity is one of the key to Jaumet’s music, as seen in his concerts, where he leaves much room for improvisation. The record was recorded in the Versatile studio in Paris, in less than 3 weeks with a fairly basic reduced set up (TR 808, synthesizers, vocals and of course the alto saxophone – more present than on his previous albums). As for mixing the album, Etienne has again asked a musician : I: Cube, an angular figure of the label Versatile. I : Cube immediately understood that it was necessary to keep the spontaneity and not to over-produce the pieces or to edit too much. He knew how to bring a power in the sound and the frequencies. From Sun Ra (Nuclear war) to Miles Davis (Shhh / Peacefull), from Theme from a symphony by Ornette Coleman to Caravan (already covered by so many jazzmen) Etienne had fun revisiting and paying homage to his peers. He is offering only one personal composition (Ma révélation mystique). 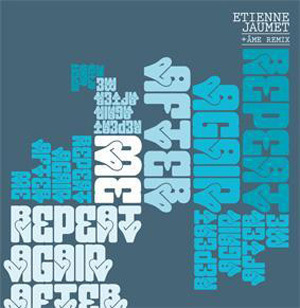 At a time when jazz is reborn (with all the new English but also American scene, with Kamasi Washington as a spearhead) here is the humble participation of Jaumet in this revival. 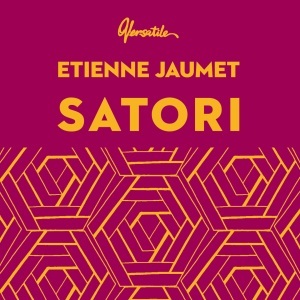 • Etienne has a special installation in collaboration with visual artist Felicie d’Estienne d’Orves called Satori. Satori est réalisé avec l’aide à la production d’Arcadi Ile-de-France. Since “Night Music”, Etienne has been recording, playing or remixing, all over the world, solo and also with Zombie Zombie , (including their Potemkine soundtrack project and jean Painlevé cinemix) , Emmanuelle Parrenin , Richard Pinhas , James Holden*, Turzi, The Big Cruch Theory, Alan Howarth , Sonny Simmons , Versatile Noise Troopers (Gilb’R, I:Cube, Joakim & Etienne Jaumet), Danton Eeprom, Ilhan Ersahin, François and The Atlas Mountains, Luke Abbott, Discodeine, ARP, Man & Man, Yuksek, Gianluca Petrella, Cosmic Control, Le Cabaret Contemporain (The John Cage Project), Gilbert Artman & Philippe Bolliet, Part Company and even – wait for it… Red Hot Chili Peppers!! In the grand tradition of the proggy excess that was rife 30-or-so years ago, For Falling Asleep – the first track of the five on this album – lasts 20 minutes and 25 seconds. It builds, almost imperceptibly, into a repetitious exploration of space that’s worthy of synth masters like Steve Hillage or German trance-rock icons Ash Ra Tempel. Even the jazz sax that arrives about halfway through reveals itself tastefully, and when it winds down for a final few minutes of deep space drone mixed with delicate harp (played by Emmanuelle Parrenin, a French folk singer who could be considered that nation’s answer to Vashti Bunyan), you feel like you’ve been spirited away to a peculiar but idyllic dimension. 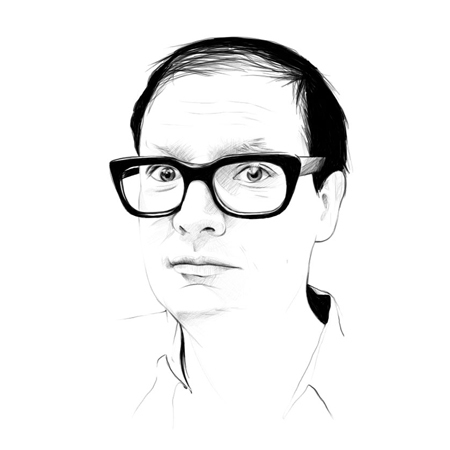 If only Etienne Jaumet had been around when Ridley Scott was looking for a musical arranger for Blade Runner. At a whopping 20 minutes, Night Music’s opener “For Falling Asleep” conjures an image of a forbidding metallic metropolis, basked in neon while something sinister effervesces and billows out like steam from the city’s manholes. Apart from the synths gurgling beneath a mist of Middle Eastern influence, there’s a forlorn sax, played by Jaumet himself, that provides the key brushstroke to a neo-noir sound epic. However, it wouldn’t do for Jaumet, known as one-half of Parisian dance duo Zombie Zombie, to sound like a dead ringer of Vangelis. Rather than inflate “For Falling Asleep” with the kind of wounded romanticism of the Greek composer’s “Damask Rose”, say, Jaumet has cogitated the idea of staring into the abyss with what sounds like the kind of high-pitched vocal tremors that accompanied the ape scene in 2001: A Space Odyssey . Still, buried in this haunting landscape is the flickering ember of Emmanuelle Parrenin’s harp, a touch at once diaphanous and sullen. 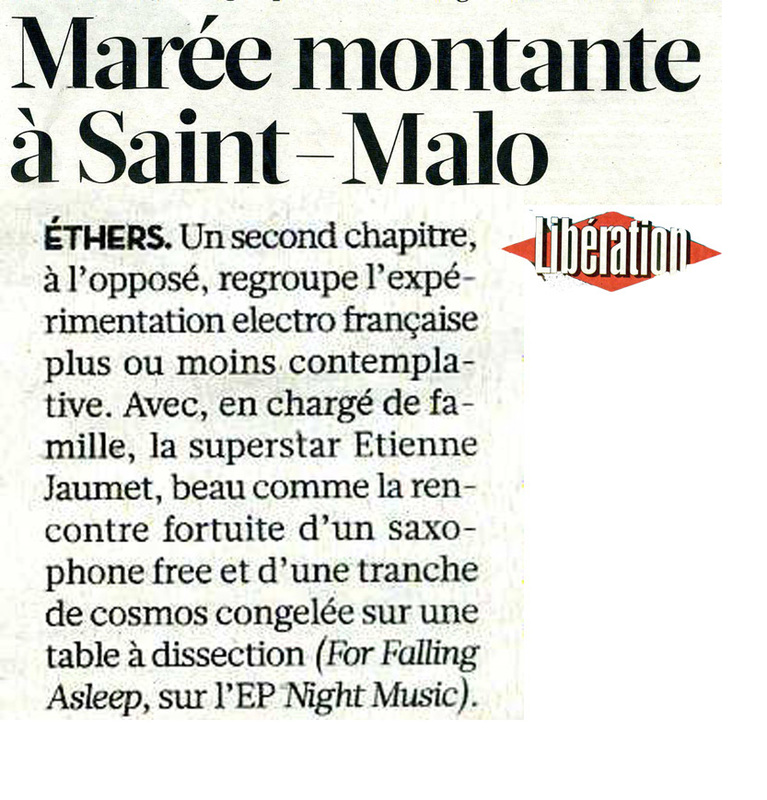 “For Falling Asleep” sounds as much like Brian Eno and Silver Apples as it does Pharoah Sanders. And even though it resembles little of what Jaumet has done before, it is everything you’d expect this unshakeable analogue enthusiast, who considers his TR-808 and RE-201 close companions, to do. 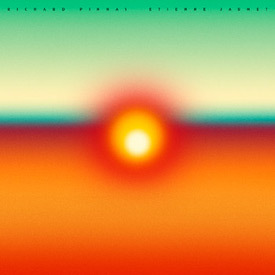 Jaumet’s affection for the ‘70s, something evident from Zombie Zombie’s krautrock-specked disco electro, extends to his making “For Falling Asleep” an entire A side of Night Music, with the remaining four tracks on the flipside. Still, with the help of unlikely collaborator Carl Craig, a Detroit producer, Night Music sounds as unified as a clutch of consecutive scenes of a movie. As “For Falling Asleep” suggests, the album is hardly nightclub material. 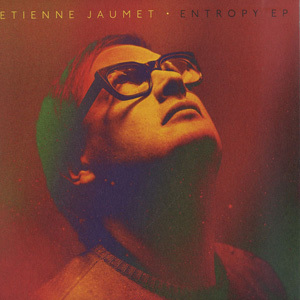 Jaumet’s Teutonic disco underpinnings are limited to “Mental Vortex” and “Entropy”. But with both tracks’ Steve Reich-inspired monotony comes a sizeable coat of Teflon. By contrast, “Through the Strata” champions the brooding Arabic-inflected mien of the album opener. With its faint echoes of a sullen Al’meh, “Through the Strata” sounds like a makeshift Moroccan bazaar set up within a manufacturing plant. It could be a potent symbol of the emasculation of an ancient culture for a contemporary one or the dogged persistence of the former in spite of the hegemony of the latter. If instrumental music is capable of strong narrative, then here is some irrevocable proof. “At the Crack of Dawn”, meanwhile, sounds like the sonic version of retrofitting in terms of the way it summons an image of an Arabic cityscape inhabited by creatures that travel by Seeder Ramships. Here, layers of filtered saxophone, assuming the place of a mjwez or Algerian mizwid, strain over the steady march of droning synths and a sprinkling of celestial effects. The track’s repetitive though surprisingly untiring nature—one motif is recycled over and again for its near-five minute duration—suggests a meditative quality not unlike an Islamic call to prayer. It is this kind of subtlety of mood, wedded to vivid evocation, that furnishes Night Music with a sophistication very much absent from Zombie Zombie’s industrial proto-electronica. 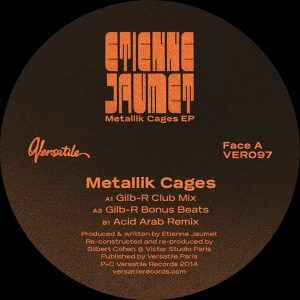 XLR8R’s Inbox touches base with jovial French tech-house producer Etienne Jaumet, who has just come back from sharing the deck with Dirty Soundsystem on a Cosmic Cruise around an artificial lake in Paris. Jaumet gushes about Carl Craig, compares himself to crayon colors, eats too fast… Jaumet’s Night Music is out now on Domino. XLR8R: What’s the weirdest story you have ever heard about yourself? 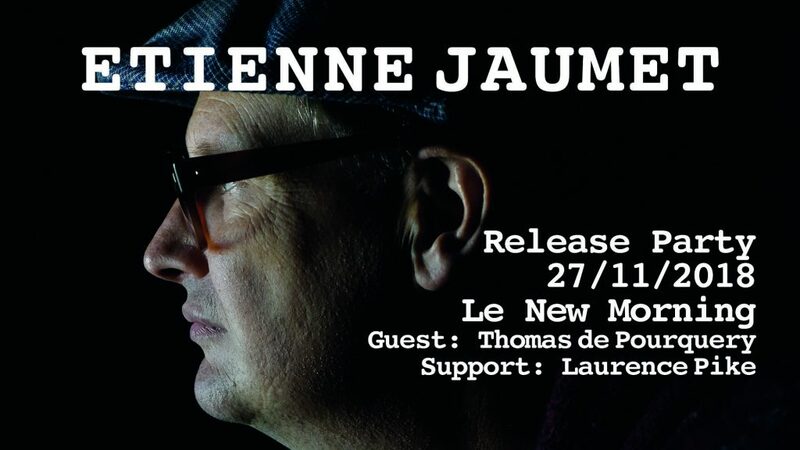 Etienne Jaumet: People always imagine that I need to take drugs all day long to make my music… hahahaha! Does the mood you’re in effect the music you choose to play, or does the music you hear effect the mood you’re in? I don’t control myself very well, and don’t think too much. I don’t have an analytic approach to music; I just love to lose myself in the sensations and the emotions given by the music. The music feeds me. What was your favorite song when you were 15? “10:15 Saturday Night” by The Cure. If you could spend an hour in any city right now, which would you choose? Old-fashioned modernist! Or post-traditionalist, if you prefer. What was it like working with Carl Craig? He don’t need anybody! He only does what he wants to. He knew so well the music and the sound! He’s a master! Eating too fast. It’s still the same. Which other artist would you like to work with next? ETIENNE JAUMET a commencé sa carrière de musicien dans les années 90 avec Flop et toute l’équipe des Disques Bien et le groupe Married Monk. Mais c’est en devenant “l’homme aux synthés analogiques” de Zombie Zombie qu’il se révèle. Avec Cosmic Neman (également batteur de Herman Dune), Zombie Zombie sort deux albums influencés autant par le kraut-rock experimental des années 70s que l’avant-garde newyorkaise à la Suicide et enchaine des dizaines de concerts dans le monde; Rough Trade nomme leur “A Land for Renegades” disque de l’année. Le premier album solo d’Etienne, “Night Music”, (Versatile 2009), est mixé par Carl Craig et apporte à Etienne la consécration. Etienne a déjà mis en transe des dizaines de scènes européennes de Cork à Riga. Depuis “Night Music”, Etienne a enregistré, joué ou remixé en solo ou avec Zombie Zombie , (ainsi que leur cinemix Potemkine) , Emmanuelle Parrenin , Richard Pinhas , Turzi, The Big Cruch Theory, Alan Howarth , Sonny Simmons , Versatile Noise Troopers (Gilb’R, I:Cube, Joakim & Etienne Jaumet), Danton Eeprom, Ilhan Ersahin, François and The Atlas Mountains, Luke Abbott, Discodeine, ARP, Man & Man, Yuksek, Gianluca Petrella, Cosmic Control, Le Cabaret Contemporain… Il est le saxophoniste de James Holden. Voici un moment que l’idée de faire un disque de reprises de jazz trottait dans la tête d’Etienne Jaumet. c’est aujourd’hui chose faite avec ces Huit regards obliques, son 3ème album solo à paraitre sur son label Versatile records. Le jazz requiert une liberté de jeu, d’interprétation et d’improvisation qui sied bien à sa manière de travailler ainsi qu’à son approche ludique de la musique. Les morceaux furent rapidement enregistrés. il fallait simplement que l’ambiance soit là dés le début sans ce travail laborieux sur la composition. La spontanéité est une des caractéristiques de la musique de Jaumet, on la retrouve également dans ses concerts, où il laisse une grande place à l’improvisation. Le disque a donc été enregistré au studio Versatile en moins de 3 semaines avec un set up réduit assez basique (TR 808, synthétiseurs,voix et bien sûr le saxophone qui est beaucoup plus présent que sur ses albums précédents). Pour le mix, Etienne a encore fait appel à un musicien en la personne d’I:Cube, figure angulaire du label Versatile. Celui ci a tout de suite compris qu’il fallait garder le côté spontané et ne pas sur-produire les morceaux ni trop les éditer. Il a su apporter une puissance dans le son et les fréquences. De Sun Ra (Nuclear war) à Miles Davis(Shhh / Peacefull), de Theme from a symphony d’Ornette Coleman à Caravan (déjà repris par tant de jazzmen) Etienne s’est amusé à revisiter et rendre hommage à ses pairs. il ne s’est autorisé qu’une seule composition personnelle (Ma révélation mystique). 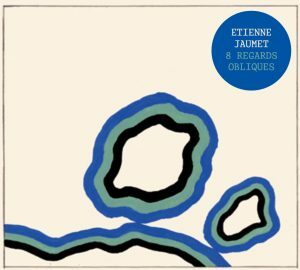 À l’heure où le jazz renait à nouveau un peu partout (ndlr toute la nouvelle scène anglaise, mais aussi américaine avec Kamasi Washington en fer de lance) voici l’humble participation de Jaumet à ce renouveau.